Many olive oil enthusiasts, both those who want to join the business and those who just want to share great olive oil, don’t have access to olive orchards. 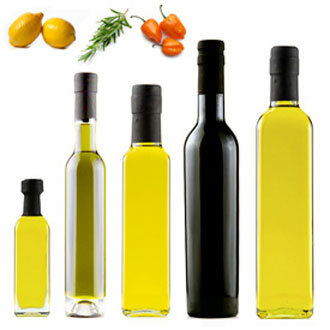 But if they still want to create their own line of olive oil and balsamic vinegar, they now have a simple “select and click” way to do it with The Olive Oil Source’s new Private Label Program of Extra Virgin Olive Oil Private Label Shiners, Flavored Olive Oil Private Label Shiners, and Vinegar Private Label Shiners. The Private Label Program features a full line of extra virgin olive oils and vinegars, including certified organic, Kosher and specialty flavored options. The first of its kind in the industry, the program provides a simple three-step online ordering process of product and package creation, offered by the same award-winning team that has serviced the olive oil industry for years. “Our long experience in working with wholesale customers, specialty food retailers and the gift trade to create their own brands gave us the hands-on knowledge that is the foundation of our program. We understand that customers need immediate availability of a wide array of options – in both product and packaging. Now, we offer a simple “select and click” approach to creating high-quality, self-branded product lines that is completely customer-controlled,” stated Antoinette Addison, founder. At the foundation of the program is the ability to create custom “shiners”, or unbranded bottles of olive oil or vinegar through a simplified online process. Similar to the wine industry’s approach to bottling wine for later rebranding, the new Private Label Program includes over 70 extra virgin olive oils and vinegars to choose from. A wide variety of bottle styles and sizes provide complete flexibility to the customer. Online pricing and ordering make this an industry first, bypassing the typical “call us for more information” sites that hint at the service without providing detailed information upfront. Another significant advantage of the program is its low minimum case requirements, allowing customers to conduct their own in-store tests with flavor and sizing options. The program presents a perfect opportunity for olive oil tasting bar entrepreneurs and specialty food store owners to fine-tune their own product offerings to fill in the product line gaps or present a cost-effective self-branded option to their customers. The gift trade can use the program to augment basket creations or branded promotional campaigns. “We understand that lower case volume and immediate product availability are two key issues facing new brands and private label offerings. With our new “shiner” program, customers can make a minimum commitment and still be assured that their orders will receive immediate turn-around fulfillment. From selection to shipping is a one week process and our customers see this as a real competitive advantage,” added Addison.